Home theater acoustics are a vitally important component when planning your home theater build. In the last six months, I have been in numerous home theater installations. Price points range from $100,000 to well over $1,000,000. I have found one thing to be true. The video quality exceeds that of the audio. The audio lacks emotion and does not attach itself to the viewer and listener in the same manner as the video does. This is not acceptable. It is somewhat easy to understand. With 4K resolution, we have achieved a video standard that is emotionally involving. All you have to do is look at the food shots in the movie “Fried Green Tomatoes”, the food shots will make you hunger for the chocolate which is easy because everyone likes chocolate, but how about those egg shots. The shells even look good to eat. How about those blueberries? Look at the morning dew on the individual berries. Why can’t we taste our music in this way? External noise that gets into our rooms does many things. First, it establishes a pressure level that we have to rise above. Its like the noise floor on analog tape. We must record above that pressure level of distortion. The same is true in your room. The nosier your room, the higher listening levels you have to use to rise above them. The higher the listening levels the more energy required from your amplifiers and speakers. More room noise, higher listening levels. In the video on the right I explain the acoustic issues that you will face in your home theater build. Testimonial from John Caldwell, President of Grace Motif Inc. Luxury Technology for Designed Environments and 35 year veteran of the audio in home theater industry. The quieter your room, the less energy needs to be introduced to be able to hear. Less is always better when it comes to today’s small rooms that lack isolation, acoustical treatment and have noise ambient levels in the 50 – 55 dB SPL range. If we can drop the ambient noise levels in our room down to 35 – 40 dB SPL , we need less energy and thus our amplifiers and speakers can produce more detail that can be heard. Remember what they say about amplifiers. The best sound comes within the first 25 watts. We need barrier technology to place a barrier between us and whatever the external noise source is. The better, usually thicker and more costly, the better the isolation from unwanted external sound energy. Barriers take many forms but fall into two main categories. First, we have barriers for frequencies above 125 cycles. They are easier and more cost effective to build. Barriers for frequencies with amplitudes below 125 Hz. are much more expensive and more difficult to construct. First and foremost the issue lies with low frequency management. Any company can build a “box” to put a home theater within. You can choose room dimensions and volume and use existing construction techniques to achieve a solid and movement free structure. What you can’t do is manage the low end with just room size and volume. 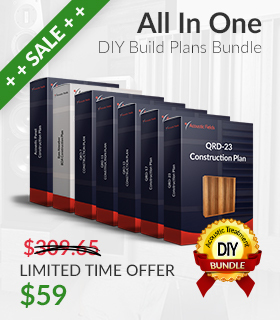 You can’t manage the attack and decay rates with current construction techniques and I am familiar with all of them with 35 years of building high rise office and shopping center structures. You need to address all frequency issues from 30 – 50 Hz. 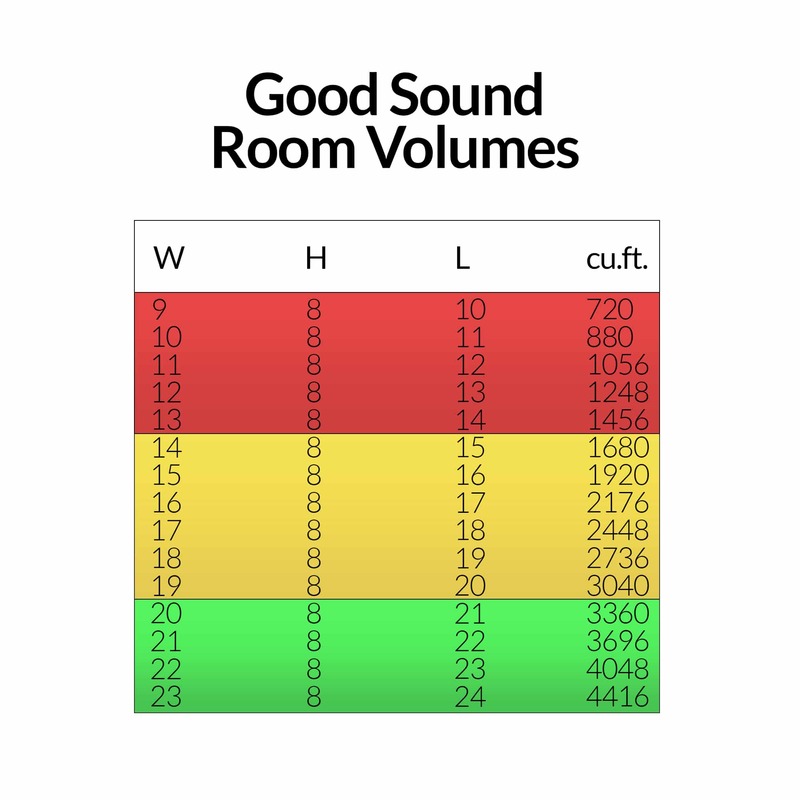 because 98 % of small rooms exhibit this frequency range issues in large amounts and amplitudes. You also need to focus on a more broadband approach from 30 – 400 Hz. The rate and level of absorption for the 30 – 50 Hz. unwanted pressure issues in most rooms must have a high rate of absorption. The pressure reactive technologies that you use to achieve these higher rates must be distributed throughout the 4 wall surface areas at a minimum. If budget permits, the ceiling is another place to use low frequency absorption technology. Broadband low frequency absorption from 30 – 400 Hz. is required throughout the room to deal with smaller room widths and shorter ceiling heights. Most home theaters I have been in have multiple sub woofers. Most of the home theaters place their sub woofers in places of convenience and those places that are out of the way. This never is welcome. The room volume and dimensions most be given top concern and priority. Placing a low frequency producing device into a corner or any other place of convenience, disregards the laws of physics. Sub woofers are powerful energy producing devices. They are the most powerful when it comes to low frequency issues, wanted or unwanted. They must be located in areas where they compliment the room size and volume. They must be located within the three sound field axis that are in our rooms in places that do not add any more pressure issues to our room response. They must be located taking into consideration the room width, height, and length. Some will be best 12″ off the floor, some 18″ and some maybe 24″ or 48″ high. It all depends on the room size and volume. They should never be placed upon the floor. The room must also be designed to contain and manage all of this low frequency energy. Having lots of “bass” and not managing it is like having a nuclear explosion in your closet. There is too much energy in too small of a space. All frequencies are impacted and most low, and middle frequencies get blurred and smeared and buried within or under the “bass”. Our goal is not to bury anything. Our goal is to hear everything and minimize all room distortions and the low end I hear in most home theaters is a miserable attempt at pressure balance and management. One can use any electronic components that they desire. It is the room treatment and surface boundary management that is critical. It is also critical, especially with home theater, to manage the low end and bring the low end up to the quality levels we demand of our middle and high frequencies. You must treat all three groups, low, mids, and highs as a system. It is through this system treatment, that we find the emotional connection to our music. When you sit in my studio, you sit between 2 – 12″ subs. that run at 65% output, but you can’t tell they are on. Listeners must touch the sub cabinet surface to feel the vibration to know the unit is working. Most think they are tables to set their drinks upon. I think the balancing and blending mission accomplished. Side and rear channels move energy in a direct line such as the speakers that hang on the walls in movie theaters and direct their energy into the audience area. They are spaced apart at 15′ intervals. Next, we have the dipoles that speak from both sides of their mouths. Energy is transferred from the speakers, polarity is reversed and the energy is directed along the side wall floor to ceiling domain. Then, we have the cousin who is the in wall speaker. For the life of me I do not know why people use these. It is simply too large of an acoustical compromise. Is this how we really hear sounds around us? Is this how ambient sound is created in our environments? The answer is no. These are just attempts at non localization ambient sound levels. Sometimes, I think they are just attempts by speaker manufacturers to sell more speakers. What is our acoustic goal with side and rear speakers? 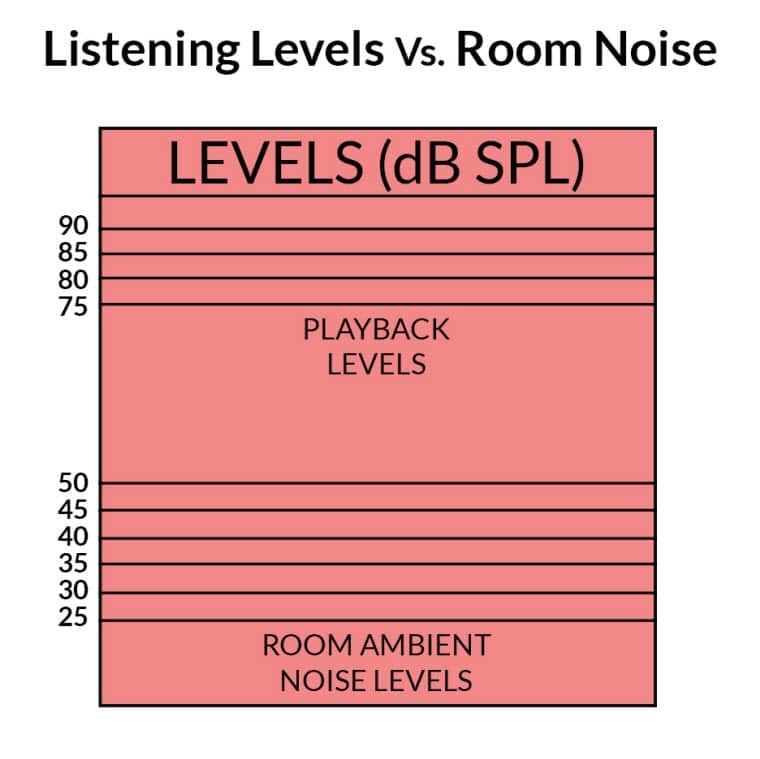 It is a non localized balance in sound field and sound distribution throughout the three planes within our room. The three planes are height, width, and length. We want a balance in strength or amplitude with the front of the house center, right, and left channels. How do we achieve this. We do not achieve it using conventional speakers hung on walls or radiating energy out of both sides of their mouths as is the case with dipoles. Most center channel speakers are horizontal in position. Do you ever wonder why that is? It is the attempt to make it easy to fit under your screen. It is designed for ease of installation and purchase. It is designed to fill the room with “horizontal” energy rather than “vertical” energy which most left and right channel speakers are oriented. Why would you want two sound fields (vertical and horizontal) of direct energy smashing into each other at the listening position. How can this delivery method bring you closer to the music? It can not. What we want are sound sources to create the side and rear wall energy, but we want them to do it in a way that does not cause our brains to localize where that energy is coming from. We do not want to hear where the sound is coming from. We want to know it is there, but not where it is coming from. This is everyday hearing qualities that are in the acoustical environments of everyday living and listening. How do we have our cake and eat it to? We use diffusion as our tool and change the way we think about side and rear channel speakers. If we take our side channel or rear channel speaker out away from our room boundary surfaces (walls), we free the speaker from SBIE (speaker boundary interference effects) and we let it produce sound into free space the way a speaker or sound source is supposed to. Then, to minimize reflections and create non localized sound energy, we fire that freestanding speaker into a diffuser. A diffuser that is designed to compliment the frequency response of the sound source itself or speaker. By placing the speaker with its back towards the listening position and the drivers firing into the diffuser itself, we create a null between the source of energy and the listening position. Thus, our brains can not locate source. Once the energy strikes the diffuser, the diffuser positioned vertically, will redistribute the energy into the horizontal or width or length dimension of our room. This will create a non localized distribution of frequencies spread throughout the width or length axis of our rooms. Our brains can not localize source because the rear of the speaker is facing the listening position but the side or rear wall energy is washing over us evenly and non localized, just the way ambient sound in our natural environments occur because of the balanced distribution of energy from the diffuser. No speaker on its own can do this. You must marry the speaker to the acoustical treatment technology to achieve this sound. Side, rear, in wall, speakers can not do this on their own just like the center channel can not distribute accurate axis sound field distribution sitting on its side. What you want is a seamless blending of sound fields generated in the same physical domain. Take the signal generated from the center channel and split it into a left center and a right center channel speaker that is the same brand and size as your left and right channel vertical speakers. You will have four speakers in the home theater front of the house. You will have 4 vertical speakers each producing energy within the same vertical domain. Testimonial from Ammon Trejo, Audio and Home Theater installation sales manager for A&E Systems. All front of the theater energy will be distributed within the same sound field. It will all be arriving at the listening position in the same time and phase domain with no comb filtering effects from a horizontal center channel source bouncing its energy off of the floor. Comb filtering distorts vocals and our center channel is all about voice. Why do we want to add distortion artifacts (comb filtering) by bouncing the energy from the center channel off the floor into our listening position.You definitely don’t want this if you are trying to match your audio system resolution to that 4 K video level. To achieve audio resolution equal to the resolution of video today, you must deal with room size and volume, front of the theater direct energy, side and rear wall ambient sound fields, along with low frequency source positioning and correct low frequency pressure management technology. Remember: Good sound quality is a combination of a lot of little things done correctly and in the right order. An acoustics service that manages the low frequency so your mids and highs can be heard clearly so you can enjoy the ultimate personal involvement in your movies. A low frequency management solution that fits in your walls so you don’t have to give up valuable floor space so you have more room for seating and entertaining. An acoustic service that ensures you will be able to select the right room size so that you’re not missing any of the sound that’s in your movies giving you a more immersive experience. A one stop acoustic service that has all the required absorption and diffusion technologies to achieve your specific room size acoustic goals. So no need for you to waste time figuring out what goes where as its all taken care of for you. 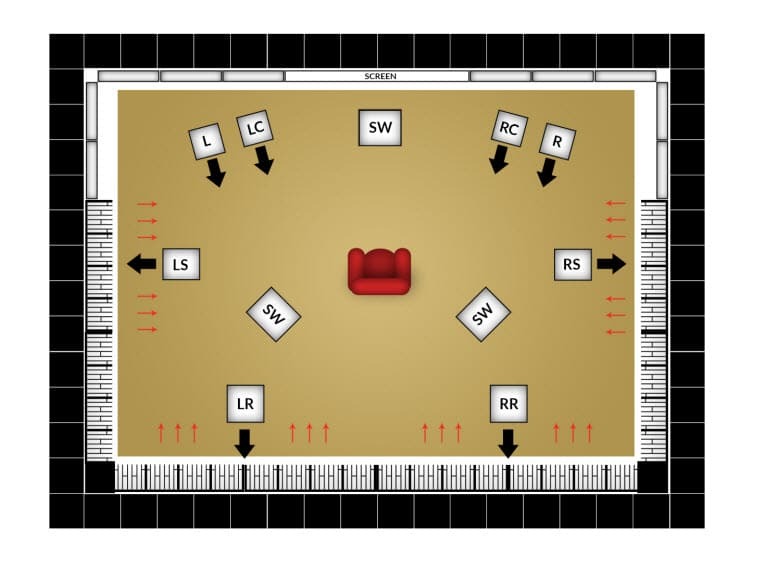 If we are designing a new build home theater from the ground up we can choose the correct room size to minimize all the issues that exist within most home theaters. We can build our carbon technology directly into your walls to avoid taking up valuable theater space in the management of your low end. In addition we can employ the latest barrier and isolation technologies to ensure that no noise gets into your home theater and that the music generated in your theater room does not reach other rooms in your house. So all you need do is call me so we can begin discussing your individual requirements and needs. Call me on520-392-9486 today or email info@acousticfields.com and lets get going on your own bespoke home theater sound. Alternatively if you complete the form on this page www.acousticfields.com/free-acoustic-treatment-room-analysis-tell-us-about-your-room/ I can run a free analysis on your room and advise you on the different options that are available according to your budget.